Flyers are an effective and affordable tool to promote your business. Easy to distribute, this simple promotional product gets undivided attention from your prospects. 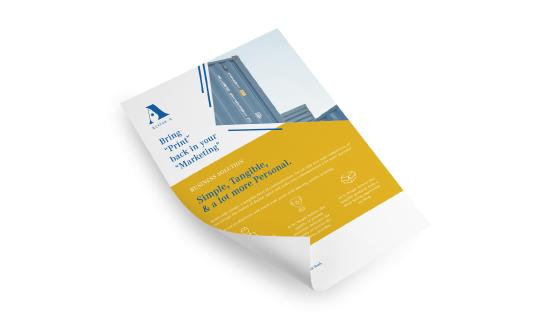 They are extremely cost-effective when it comes to reaching large audiences, which makes flyers a must-have marketing tool for any business.The ability to insert a fair amount of information and visual elements makes flyers one of the most effective and valuable marketing strategies. Gogoprint offers a wide range of flyer printing options to meet all of your the requirements. Our printed materials come in a variety of options and combinations for you to choose from.Decide on a size and paper type of your flyer. You can also add a nice finishing touch to your flyers with glossy or matte lamination. Place your orders today to enjoy a free and fast delivery at your doorsteps. 1. What are n and how can I use it? Flyers are a form of paper advertisement used to promote a product or an event. They are a very versatile marketing tool that can help you grow your business and acquire new customers. 6. Which papers/materials can I choose? 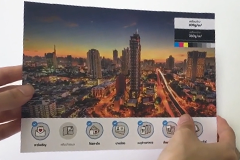 You can choose between matte and glossy lamination. Please note that lamination is only available for 157g papers or heavier. Initially I was quite skeptical because I was so used to printing collaterals from brick & mortar shops. But the quality of the print and customer service surpassed my expectations time & time again.I was also impressed with the price listing and delivery date on the website as it helped me to better coordinate and cost-maximise my promotion campaigns. Keep it up! Paper print quality is better than expected and the flyers were delivered on time as promised. Although there were some complications arising from the pdf folder sent, the team managed and solved the issue quickly. Overall a good experience, and will definately engage in gogoprint service in the future! Very very impressed with your excellent service. Liasing with Louis was a Breeze! Parcel came earlier thank expected! Way to go! Will definitely use your service again.